As at Jan 2019 the export schedules are very high: Book your forestry block now as the 90's trees will be ready soon & or the export schedules may well drop this year???? 1/. Approx acreage of trees in hectares or acres & where? 2/. If tracks are in the block therefore access to the whole block ? We provide Logging services from consulations to the final logging or pruning or thinning. 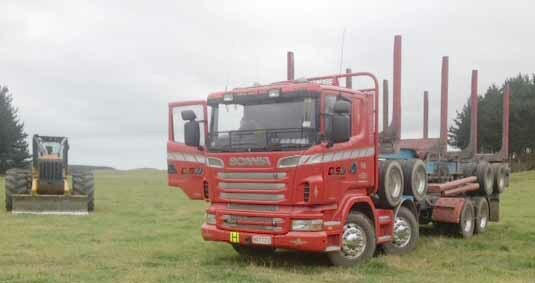 Fully Insured & Qualified we can move our equipment anywhere in the Lower North Island. We cover anywhere in the North Island even Northland, Gisborne, East coast, Taranaki to Wanganui to and as far South as Levin and Otaki, Waikanae, Paraparaumu & Wellington ----- and work in all these areas every year. 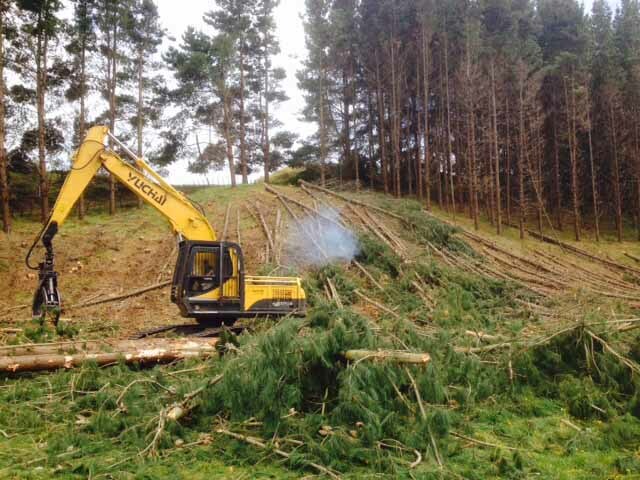 We specialise in all aspects of Forestry Tree work including Planting, Pruning, contract thinning reduction works, Thinning of your trees to even removal of trees if you need. We are a NZ Company with full certification and can provide you with the current schedules for export logging. We also make sure you get value for money as no logs are wasted with our local timber suppliers who carry logs not destined for the export market. top prices for your pine logs via the Exporters to China Taiwan and or India. 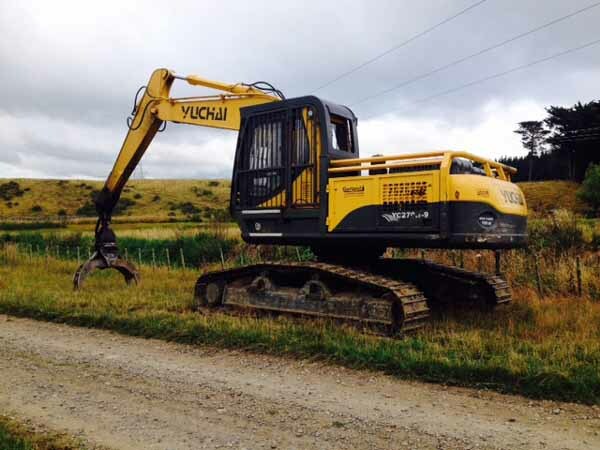 fill for tracks using our Komatsu 41P Bulldozer. We provide forest owners with Harvesting and Marketing services for each forest owner in the lower North island and we specialize in assisting the forestry block owners. Our aim is to provide our clients with the best possible net return for your trees and we will tell you if not ready or if your trees need to be thinned etc. 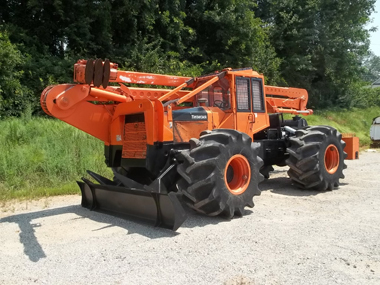 We can cut the necessary tracks in for you and no payment is made by you for this work as it comes off the trees and we guarantee our work as well as payments direct to you as we remove. Get our advice for FREE even if you have your own contractor & ask for our no obligation FREE quote. Remember if the export schedule is down we pull out saving you lower costs. Trees still grow so you never lose. We work in the lower North Island based in Levin and have an ongoing relationship with all the local timber sawmills so none of your trees are wasted. We take out and remove just what you need and if you wish to replant or put back into pasture then we can advise .We also work with all the nearest export ports of discharge to help you. Gian Pacific Marketing is a specialist company associated with our Bangkok based KPS International Trade (Thailand) Co.,Ltd. and been actively in business for 20- years. Due to our overseas export company under the umbrella of Asia Trading Post www.asiatradingonline.com we have established ourselves in the outsourcing International business not only in logging, export machinery . 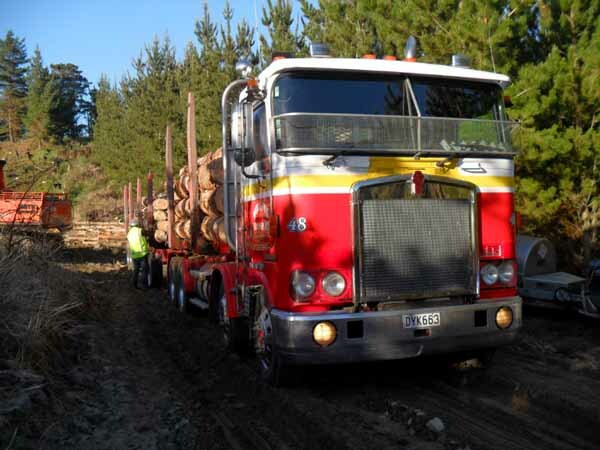 We work with the largest Forestry Export company in NZ. 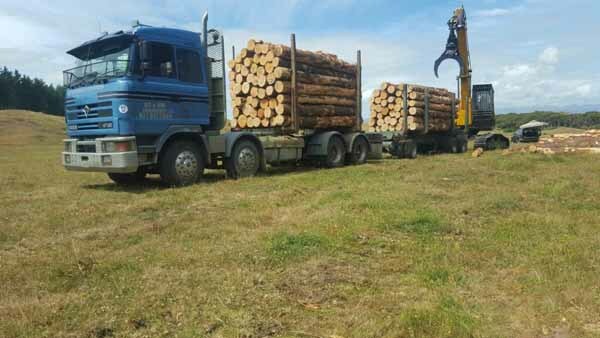 now can provide Harvesting and Marketing services to private plantation owners in the North Island region and work on the best premium harvesting returns for the small forestry owners using our consultantcy team and contracting crews.With costs increasing for access and charges you want to get the best return possible and we can assist. Arrange the right crew for your job with top machinery and full safety specs. Ready to work a Yuchai 30 tonne excavator with grapple. 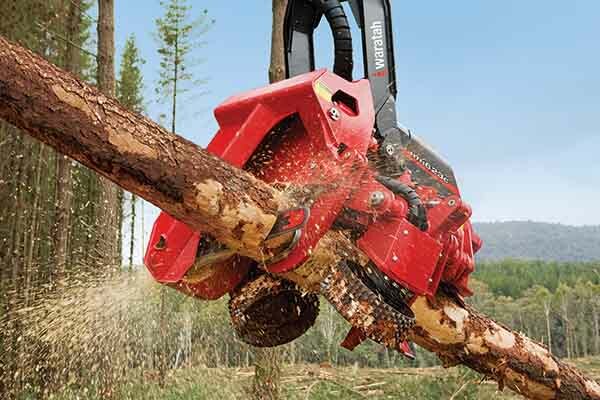 For poles and logs it pays to have a harvester processor like the waratah head on our website. The ideal setup is as follows if you have 10 hectares or more and hills etc. For a clean cut check the crews who you get to work for you and what gear/machinery they use. Many just have an excavator but if no skidder they cannot do the work properly. ASK WHAT GEAR THEY HAVE. 1/. An excavator harvester is a must for straight logs not pruned. Its fast, clean and quick plus the harvester will grade and cut to suit. A harvester is fast & can make less of a mess due to working in one spot at a time. Normally another ex will bunch then a skidder will bring out to the skid site ready for loading onto logging trucks. 3/. Log Skidder: must be used and faster than a bulldozer & less mess. The skidder brings the logs from the back to the harvester. Again no mess and can make the track although the grapple of the excavator is also used by a skilled operator to swish a track esp in sand country. 4/. Another grapple excavator in the front to grade and stack as well as load the logging trucks. These can vary from 20-30 tonne machines but must be capable of taking off trailers and some trucks arry up to 48 tonne of logs. 5/. Least but not least the saw cutters who fell the trees & have an important job to do who work ahead of the machines. These trucks use tonnage meters so know exactly what loads they carry. In sand country the wheels are controlled by the driver to raise and lower the pressures of the tyres so easier to work in. All trucks communicate direct to the loader driver en route so delays are avoided and if too wet they can be cancelled easy. We use only the top Logging Transport Companies & these are the best in the business. "Let us log your forestry block as have the crews "